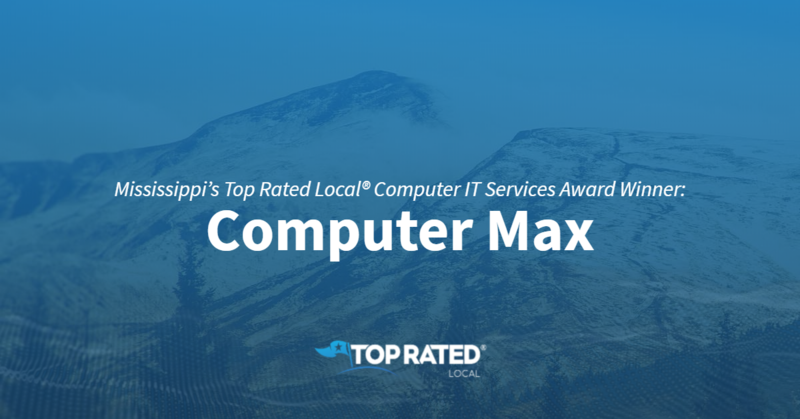 Top Rated Local® is pleased to announce that Computer Max is the number one 2019 award winner for computer IT services in Mississippi! From data recovery to iPhone repair, Computer Max in Hattiesburg is the computer repair company to turn to. Computer Max has received hundreds of reviews on three verified sites with an average rating of 4.80 stars, earning them a tremendous Rating Score™ of 94.02 and a 2019 Top Rated Local award for ranking among the top 10 computer IT services in Mississippi! “The service was great. The staff was able to fix my computer quickly and efficiently. I felt that the staff listened and took their time answering my questions. I will definitely use them again.” – W.F. We wanted to learn a little more about Computer Max and its outstanding online reputation, so we took a few minutes to talk with the owner, Derrick Swain. Building Success Through Hard Work and Customer Service. Derrick attributes Computer Max’s strong online reputation to his team’s commitment to hard work and customer service. He told us that they put in a lot of hours and they are very hands-on. Congratulations to the team at Computer Max for being a 2019 Top Rated Local award winner, and thank you so much, Derrick, for taking the time to speak with us! 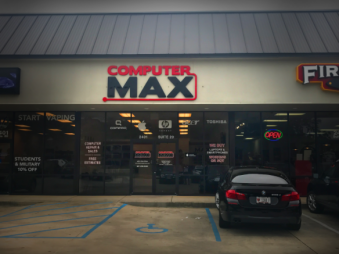 We highly recommend Computer Max in Hattiesburg. Visit their website today! Top Rated Local® is pleased to announce that Cellular Citi of Pascagoula is a 2019 award winner for computer IT services in Mississippi! 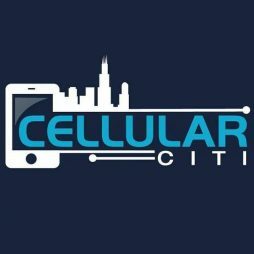 For reliable phone, tablet and computer repair in Pascagoula, there’s no better company to turn to than Cellular Citi of Pascagoula! Cellular Citi of Pascagoula has received hundreds of reviews on three verified sites with an average rating of 4.89 stars, earning them a tremendous Rating Score™ of 95.86 and a 2019 Top Rated Local award for ranking among the top 10 computer IT service companies in all of Mississippi! “Once again, you guys have saved the day! This is my second time using this company, and they are phenomenal!! [They were] very professional [and provided] great and fast service as usual! !” – S.L. CJ Herrera, the President of Cellular Citi of Pascagoula, generously gave us a few minutes of his time to tell us a little more about this award-winning business and its stand-out online reputation. CJ went on to tell us that they also use social media to spread the word about who they are and what they do. 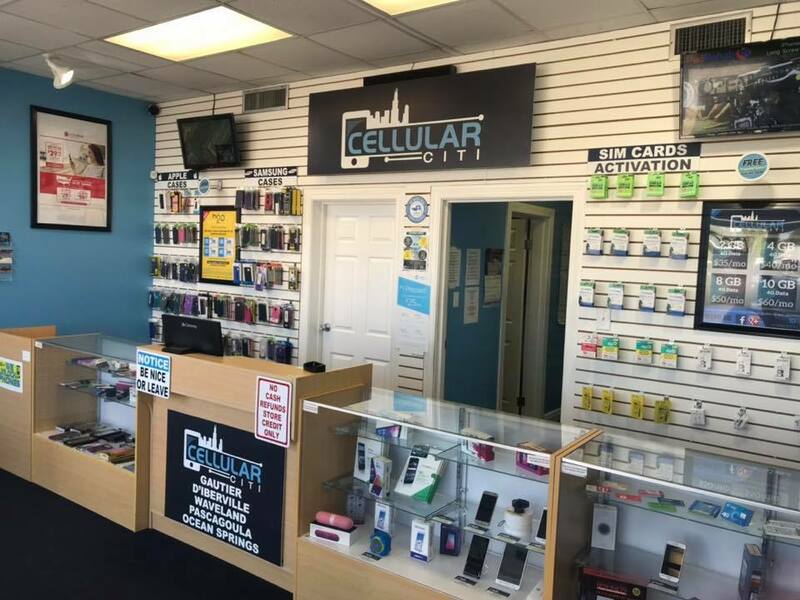 Congratulations to the team at Cellular Citi of Pascagoula for being a 2019 Top Rated Local award winner, and thank you so much, CJ, for taking the time to speak with us! We highly recommend Cellular Citi of Pascagoula. Visit their website today! Top Rated Local® is pleased to announce that Compuguru4u is a 2019 award winner! “If you’re not tech savvy, you definitely need to know about this business! I have used Compuguru4u over the last five-plus years for business and personal needs. Most recently, I was ready to ditch my five-year-old laptop because it was sooo slow. I stopped by their business to see if they had a rebuilt laptop I could buy. However, when they saw my laptop, they said it still had a lot of life in it, but it just needed a new digital hard drive. They installed it overnight and I picked it up the next day. They were right, it runs like a new laptop now! Thank you! They are such a valuable resource!” -Lois C.
Tushar Modi, the owner of Compuguru4u, took some time to speak with us about his business’ awesome online reputation. 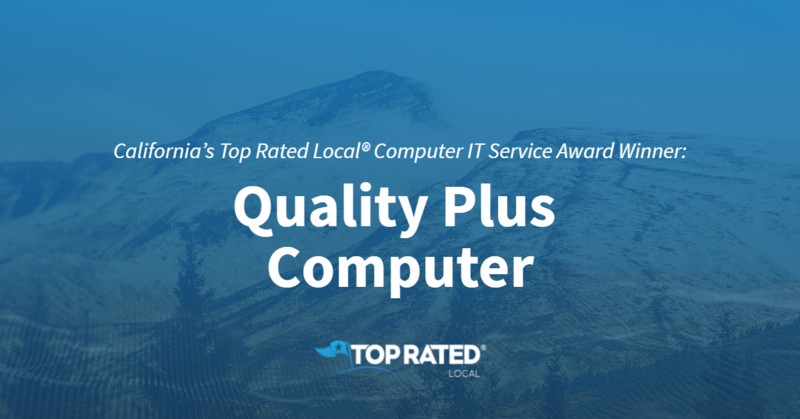 Congratulations to the team at Compuguru4u for being a 2019 Top Rated Local award winner, and thank you so much, Tushar, for taking the time to speak with us! We highly recommend Compuguru4u in North Carolina. Visit their website today! Top Rated Local® is pleased to announce that TechANYWHERE Computer is an award winner for computer IT services in 2019. If you are looking for a computer IT service that cares about their customers and about fixing computers the right way the first time, look no further than this award-winning company! 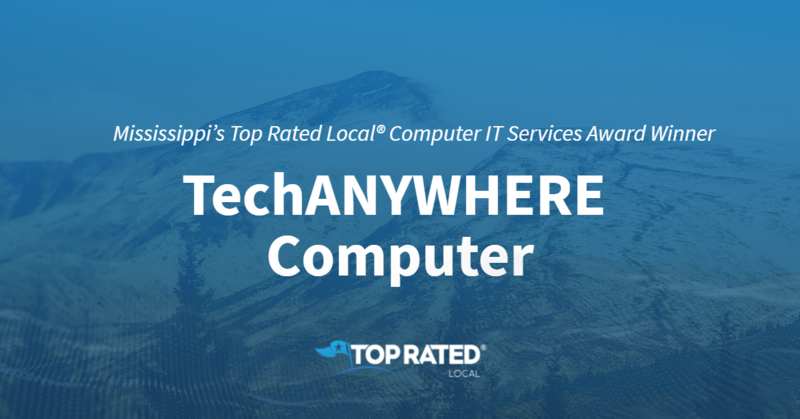 TechANYWHERE Computer has received many overwhelmingly positive reviews across multiple verified sites with an average rating of 4.90 stars, earning them an impressive Rating Score™ of 93.03 and a 2019 Top Rated Local award for ranking as one of the top 10 computer IT services in Mississippi! “I stumbled upon TechANYWHERE by searching for PC repair on Google. I read the reviews and immediately contacted them. They quickly got to diagnosing my PC’s issue. Rusty worked overtime on my computer and found a cheaper price for the part my computer needed. [They had a] fast turnaround and kept in contact throughout the process! Hopefully, I won’t need help again, but if I do, I will most definitely use TechANYWHERE again!” – B.W. It is because of excellent reviews like this that TechANYWHERE Computer is now able to call themselves a Top Rated Local award winner! We were excited to learn all about how TechANYWHERE Computer has been able to build such an impressive reputation, so we sat down with the owner, Rusty Allen. Congratulations to TechANYWHERE Computer for being a 2019 Top Rated Local award winner, and special thanks to Rusty for taking the time to speak with us! Top Rated Local® is pleased to announce that Bits Bytes and Gadgets is a 2019 award winner for computer IT services in South Dakota! If you’ve got a broken cellphone, tablet or another gadget on your hands, Bits Bytes and Gadgets in Pierre is the company to turn to. Bits Bytes and Gadgets has received dozens of reviews on three verified sites with an average rating of 4.60 stars, earning them a phenomenal Rating Score™ of 92.00 and a 2019 Top Rated Local award for ranking among the top 10 computer IT service providers in all of South Dakota! “I’d choose 10 Stars if I could — the staff, work, knowledge and pricing for services are above and beyond expectation! [I’ve taken] multiple ad-hoc trips over the past few weeks for advice and services, and all the time I was there, I was able to learn soooo much more. They clearly explained everything they were doing — how, when, what and why. [This is] definitely my ‘go-to place’ for Bits, Bytes and Gadgets, and we definitely have plenty of them!!! Keep up the good work!” – Mary Jo G.
Dustin Van Balen, the owner of Bits Bytes and Gadgets, generously gave us a few minutes of his time to tell us about his stand-out business and its wonderful online reputation. Building Success Through Happy Customers. Dustin attributes Bits Bytes and Gadgets’ strong online reputation to their commitment to keeping their customers happy. This has led to customers leaving reviews on their own; the team at Bits Bytes and Gadgets doesn’t ask for reviews. Outside of building a powerful online reputation, Bits Bytes and Gadgets has spread the word about who they are and what they do through social media, as well as a radio talk show that airs every other Thursday. Congratulations to the team at Bits Bytes and Gadgets for being a 2019 Top Rated Local award winner, and thank you so much, Dustin, for taking the time to speak with us! 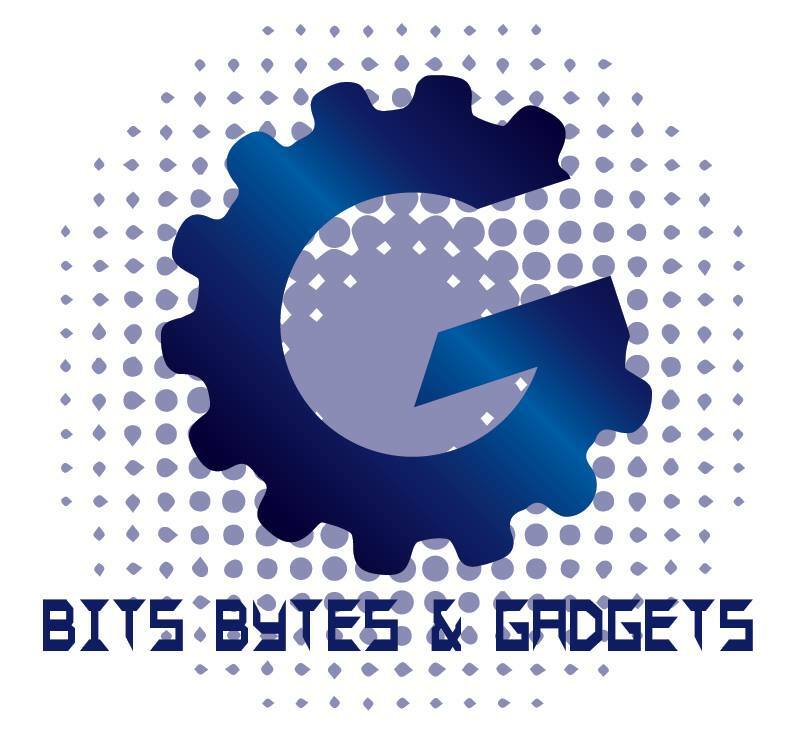 We highly recommend Bits Bytes and Gadgets in Pierre. Visit their website today to learn more! Top Rated Local® is pleased to announce that Wharton Computer Repair is a 2019 award winner for computer IT services in South Dakota! When it comes to computer repair in Huron, no other company beats Wharton Computer Repair. Wharton Computer Repair has received dozens of reviews on multiple verified sites with an average rating of 4.80 stars, earning them a fantastic Rating Score™ of 92.00 and a 2019 Top Rated Local award for ranking among the top 10 computer IT service providers in all of South Dakota! “With our new electronic health records and our dependence on a smoothly running computer system, we could not survive without Alex’s expertise and willingness to help us at any time of the day. We have him on speed dial, and if problems arise, we can count on him. We were recently infected with a virus, and he was able to save our system without any significant downtime.” – Wayne C.
Alex Wharton, the owner of Wharton Computer Repair, generously gave us a few minutes of his time to tell us a little more about his award-winning business and its stand-out online reputation. To start our conversation, we asked Alex what it is that sets Wharton Computer Repair apart from his competition in South Dakota. Alex told us that it’s their affordable prices and honesty that make the biggest difference. According to Alex, it’s that same honesty that helps that stand apart from their competition that is also responsible for Wharton Computer Repair’s strong online reputation, and he told us that he gets a lot of organic reviews. 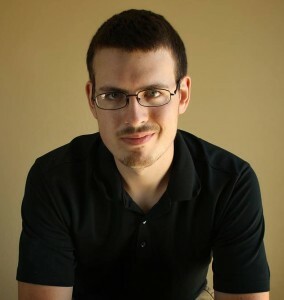 Not only has Alex’s great service and commitment to honesty led to an organic online reputation that any business owner would envy, but it’s also led to word of mouth, which is the main source of growth at Wharton Computer Repair. There are so many business owners out there who would love to build the kind of online reputation Wharton Computer Repair has. Alex’s advice for them is to have good search engine optimization on your website and a good social media management strategy. Congratulations to the team at Wharton Computer Repair for being a 2019 Top Rated Local award winner, and thank you so much, Alex, for taking the time to speak with us! We highly recommend Wharton Computer Repair in Huron. Visit their website today! 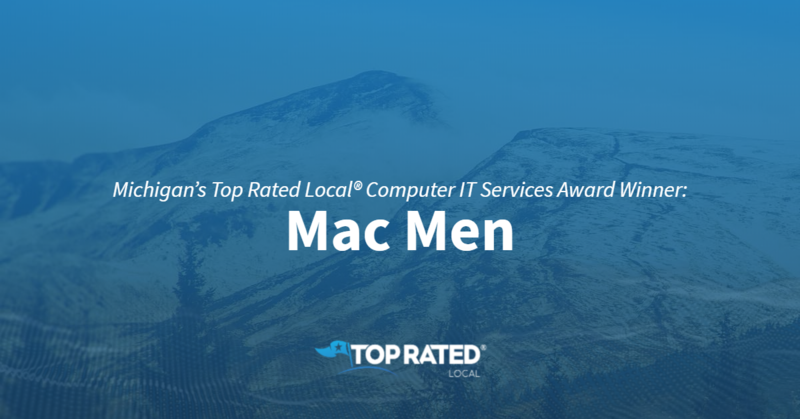 Top Rated Local® is pleased to announce that Mac Men is a 2019 award winner for computer IT services in Michigan! For computer services you can rely on in East Lansing and Mt Pleasant, there’s no better option than Mac Men. Mac Men has received more than 100 reviews on three verified sites with an average rating of 4.82 stars, earning them a phenomenal Rating Score™ of 94.16 and a 2019 Top Rated Local award for ranking among the top 10 computer IT service providers in Michigan! “Having gone to many different computer repair shops, none compare to the professionalism that Mac Men radiates every time I’ve dealt with them. I cannot stress enough that this place can’t be beat. It really is the best, zero exaggeration. With FREE diagnostic and very, very reasonable prices, their service is truly unparalleled. If you have any doubt in your mind, you shouldn’t. Go here for all your technical needs; you will not be disappointed!! !” – T.G. Ben Barry, the owner of Mac Men, generously gave us a few minutes of his time to tell us about his award-winning business and its stand-out online reputation. Outside of building a powerful online reputation, Mac Men has gotten their name out there through word of mouth, which speaks to their great service. Congratulations to the team at Mac Men for being a 2019 Top Rated Local award winner, and thank you so much, Ben, for taking the time to speak with us! We highly recommend Mac Men for all of your computer repair needs. Visit their website today! Top Rated Local® is pleased to announce that Jensen Computer Technologies is a 2019 award winner for computer IT services in Mississippi! From personal services, like data rescue and diagnostics, to commercial services, like structured cabling and cybersecurity, Jensen Computer Technologies in Petal, Mississippi, has you covered. Jensen Computer Technologies has received dozens of reviews on three verified sites with an average rating of 4.68 stars, earning them tremendous Rating Score™ of 92.83 and a 2019 Top Rated Local award for ranking among the top 10 computer IT service providers in all of Mississippi! “[This is,] hands down, the best and most knowledgeable staff around! They fixed my tablet good as new and helped bring my laptop back to life.” – T.G. We wanted to learn a little more about this stand-out business and its impressive online reputation, so we took a few minutes to talk with Jon Wilkinson, Senior Technology Architect at Jensen Computer Technologies. Outside of building a powerful online reputation, Jensen Computer Technologies has gotten their name out there through Facebook and word of mouth. Congratulations to the team at Jensen Computer Technologies for being a 2019 Top Rated Local award winner, and thank you so much, Jon, for taking the time to speak with us! We highly recommend Jensen Computer Technologies in Petal. Visit their website today! 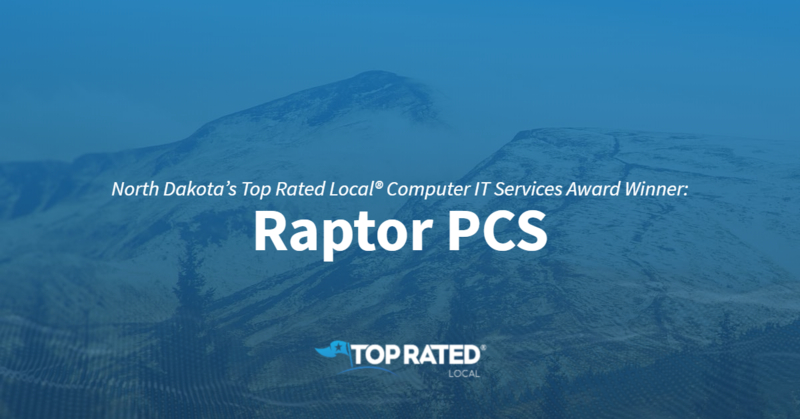 Top Rated Local® is pleased to announce that Raptor PCS is a 2019 award winner for computer IT services in North Dakota! 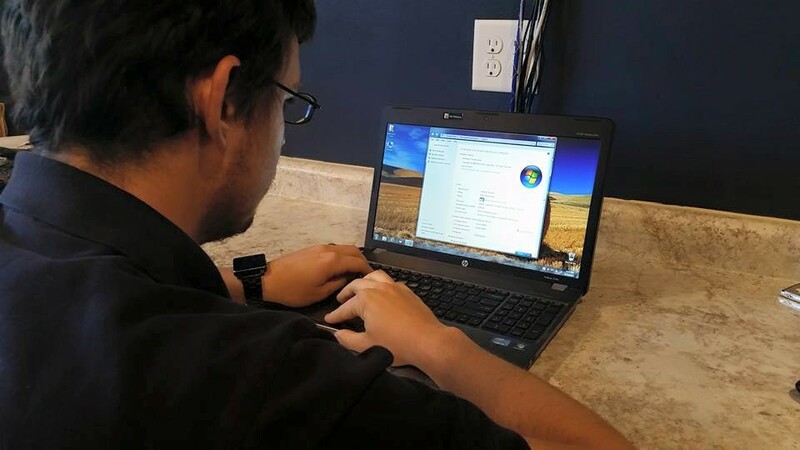 When you need professional, reliable computer service in Grand Forks, you need Raptor PCS. Raptor PCS has received dozens of reviews on multiple verified sites with an average rating of 4.78 stars, earning them a spectacular Rating Score™ of 92.82 and a 2019 Top Rated Local award for ranking among the top 10 computer IT service providers in all of North Dakota! “I am a local business owner. I arrived on Monday morning to find that our main office PC experienced a hard drive failure. I contacted Raptor PCS and explained my problem. Broc asked me to bring it directly over. The Raptor staff confirmed my diagnosis, saved all of my data, installed four new hard drives and reinstalled all of my software! Broc and his staff managed all of this the same day I brought it in for repair. The price was very fair, and the service was outstanding. Thanks, RAPTOR PCS!! !” – Jerry S.
In order to learn a little more about this award-winning business and its stand-out online reputation, we took a few minutes to talk with Broc Wurzbacher, the owner of Raptor PCS. We also wanted to know what their mission is at Raptor PCS and how they work to make the world a better place. Broc shared with us that their goal is to get their customers’ devices back up and working as quickly as possible because they understand that their customers need their devices to be working properly. Broc attributes Raptor PCS’ strong online reputation to their next-level service and their commitment to ensuring customers are happy before they walk out of the door. He also told us that they have a follow-up process in place to ensure that their customers enjoy their service. Outside of building a powerful online reputation, Raptor PCS has spread the word about who they are and what they do through word of mouth, local advertising coupon books and longevity — they’ve been around since 2006 so a lot of people know who they are. Congratulations to the team at Raptor PCS for being a 2019 Top Rated Local award winner, and thank you so much, Broc, for taking the time to speak with us! We highly recommend Raptor PCS in Grand Forks. Visit their website today!